Emerson färdiglött kopplingsset till LP junior. 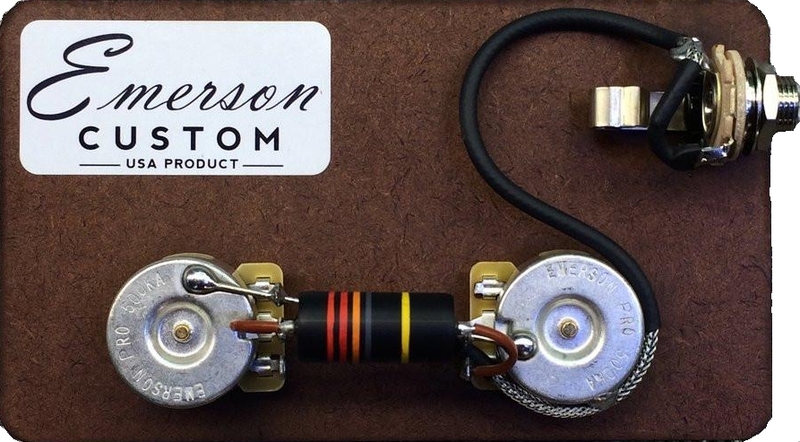 This is a prewired assembly for Gibson Les Paul Junior guitars. Wired with 22 AWG external braid vintage push-back wire for that vintage look and sound. Soldered connections to the input jack are insulated with heat-shrink to ensure durability and long life.